Bindlestiff Family Variety Arts, Inc. is a nonprofit performing arts organization dedicated to increasing the knowledge, understanding, and appreciation of circus, sideshow, vaudeville, and related arts through performances, lectures, media, and workshops for the general public, and through the creation of opportunities for cultural exchange and community among performing artists. Through performance, teaching, and outreach, Bindlestiff preserves, contemporizes, and enriches the cultural heritage of the variety arts. The circus and variety arts have the power to lift our spirits, bring people together, and create moments of joy. 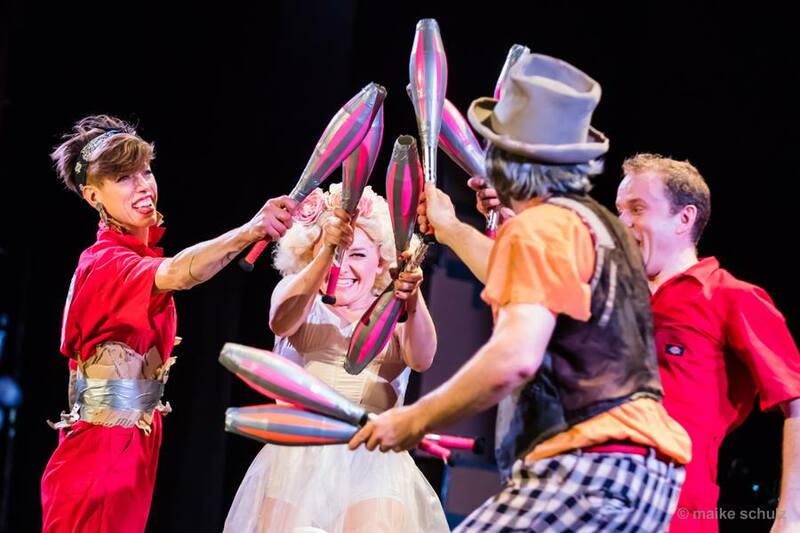 The Bindlestiff Family Cirkus needs your help to continue our work creating spectacles that delight, programs that foster youth development, and opportunities for emerging performers. We invite you to support our mission to cultivate, develop, and sustain the variety arts by making a tax-deductible donation. Your support makes it possible to do what we do.